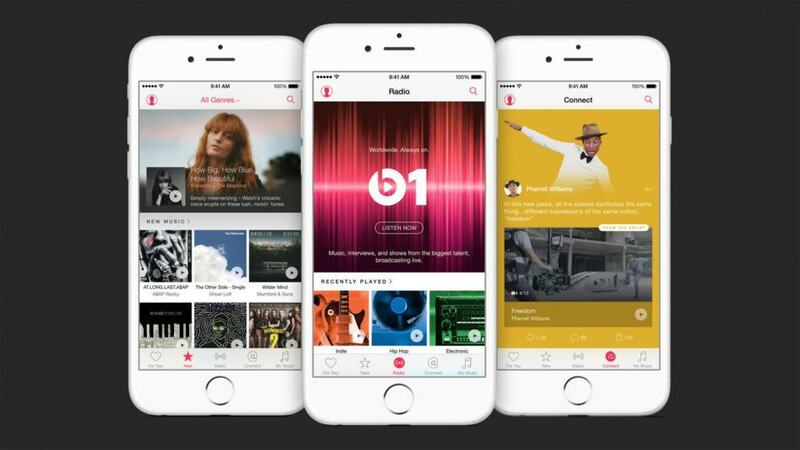 Apple has proposed a brand new “fixed” royalty scheme for music streaming services. By using a fixed rate, Apple will effectively simplify the process of royalty payouts. However, it may negatively impact other services, like Spotify. In a United States government filing obtained by The New York Times, a proposal for a songwriting royalty scheme has been brought forward. The scheme proposes a fixed 9.1 cents per 100 songs played. What this means is that, if adopted, there will be a drastic change to how artists will get paid. Royalty payouts are currently extremely complicated. As it stands, each music streaming service, such as Spotify and Google Play, have to abide by complex federal laws. These laws govern the amount of money artists receive for their music when streamed a certain number of times. What makes it complex is that these services must pay out a percentage of the total revenue earned. The problem with that is that these companies must factor in a number of different things, such as advertisements, how popular a song is and how many times a song may be streamed daily. Apple’s proposed royalty scheme will make it easier for all, and on paper it sounds great. With the new suggestion filed by Apple, things might become a lot simpler. The problem, however, is that this method will negatively impact competing services with free streaming options. There are millions of people who listen to free music every day, at only a fraction of a cost to their chosen streaming provider. Given that the music is free and only garners a minimal income, these services do not need to pay a lot of royalties, which potentially hurts artists. However, the opposite is also true. If a service such as Spotify manages to bring in a lot of money, the relevant artists will receive a decent payout. Regarding royalties, insight into the complex way that artists are paid was revealed in 2012 via an an open letter to the music industry from David Macias. Macias is a producer for Thirty Tigers, which is a well known alternative label that hosts artists such as Flogging Molly, Aaron Watson and, personal favourite, Carlos Santana. Masias’ letter infers that artists have a decent opportunity to make money from free streaming services like Spotify, especially if they own their masters (original, or master recordings before the revenue split is calculated between involved groups). According to Macias, the standard payout is roughly half a cent ($.005). What the artist actually gets depends on their various agreements with labels, publishers, agents and so on. Macias goes on to explain that of the $10 USD subscription he spends on Spotify a month, $6 goes toward the owner of the recordings. That $6 includes every single song listened to in one calendar month. As such, that could mean hundreds, or merely tens of Dollars in earned revenue, for an artist. Macias then goes on to mention that from the difference, $1 goes to the owner of the publishing copyright for the music, and Spotify keeps the last remaining $3. It should be noted that this letter was written in 2012 (David Macias did not update his statement since the letter’s publication), but the split remains the same today. These numbers can be corroborated when looking at Spotify’s statement on royalty payout on their website. Here, Spotify goes on to say that they pay – on average – about $0.007 cents per stream, per song, to record owners. The letter is an extremely lengthy read, but it is very interesting given Apple’s current royalty scheme proposal. With Apple’s proposal, however, these services will have to pay at least 9.1 US cents for every 100 songs that are streamed. A change from a revenue based royalty scheme to one that is fixed will have dire consequences for services that offer free streaming tiers. Essentially these companies would have to begin paying additional royalties in order for their subscribers to listen for free. This could make things a lot easier for all companies and artists involved, but it could also make things a lot more expensive. Free services, for example, might cease to exist under Apple’s proposal. Even worse, subscribers that opt to pay for their streaming services might end up with price increases as these services balance out the additional costs. According to The New York Times, the proposal has not been made public as of yet. This could be due to the fact that the Copyright Royalty Board has not gone over the proposal yet. It could also mean that Apple might be speaking to other services and working out some type of deal — which is highly unlikely. Spotify, which might be the most affected, currently pays upwards of 10.5% of its revenues to songwriters. Therefore, according to Fortune, it is believed that Apple’s proposal will force other services to pay even more. Additionally, this does not count toward the revenues paid for the right to use recordings. In short, this proposal could very well destroy Spotify, even if it can potentially pay more to artists. If streaming services like Spotify do end up falling, a lot of artists will lose their own advertisement. Remember: free streaming services and radio are an artist’s biggest source of advertisement. Not only will this potentially be bad for consumers, it could be bad for artists too. Of course, the clear-cut solution here is that everyone ends up flocking to Apple’s music services. As Fortune points out, Apple’s primary business is not about the music they have to pay royalties for. 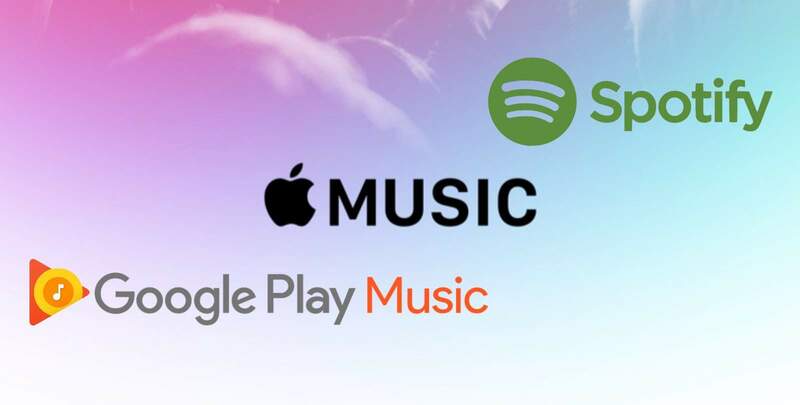 Given the fact that Spotify relies on paying customers, who could drop out at any time for any reason, versus Apple who has sources of revenue from music streams, music purchases, and especially hardware purchases. Apple’s primary business comes from these devices they sell yearly. A bit of an extra payout for a rising service will be nothing to Apple compared to Streaming-only services such as Spotify and Pandora. Apple could effectively brute-force their way to victory. It should be noted that the only free service Apple offers is a curated radio broadcast. The rest of their music streaming is locked behind a monthly subscription. Set Phasers to Stun, Klingon Style is here.